Cities took centre stage at Parliament House this week as Infrastructure Australia’s CEO, Philip Davies outlined the challenges and opportunities ahead. Gathering under the auspices of the Parliamentary Friendship Group for Better Cities, politicians from all points on the political spectrum, together with peak bodies and the private sector, heard from Australia’s top public sector infrastructure boss. Mr Davies gave guests an insight into Infrastructure Australia’s policy work and the consultation process underpinning the development of Australia’s first ever 15-year national infrastructure plan. Infrastructure Australia released the infrastructure audit in May this year, the first since its reconstitution as an independent body in 2014. The audit provides a top-down national review of the key drivers of the nation’s infrastructure demand out to 2031, and future needs across transport, water, energy and telecommunications. The headline finding is Australia’s projected population growth of 30.5 million by 2031, with three-quarters of this growth occurring in Sydney, Melbourne, Brisbane and Perth. 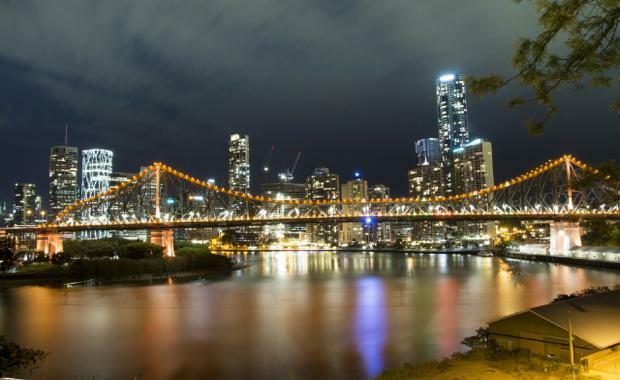 “By 2031, these four cities are expected to grow by 46 per cent,” Davies said, adding that Brisbane and Perth will be home to five million people apiece by 2061. Melbourne and Sydney will have up to nine million people each. “We rank fourth out of 40 OECD countries for population growth over the decade to 2012 – and were the fastest of those with a population over 10 million,” Mr Davies said. Housing affordability, already a great national challenge, will loom even larger in the years ahead, Mr Davies said. “We forecast in the Audit that these big four cities will need to provide for the development of between 500,000 and 700,000 dwellings just in the next 15 years," he said. “This new housing will need to be supported by the delivery of new and upgraded transport infrastructure to connect people to jobs and goods with markets. Mr Davies, who is a trained engineer with experience delivering nationally-significant infrastructure projects, joined Infrastructure Australia in April. He said wide-ranging consultation with stakeholders found Australia’s largest cities need to be “growing up, not out”. “Many have said that we need to increase delivery of high quality, high density development,” he explained. Other stakeholders argued that governments needed to “ease the pressure on our larger cities by growing the populations of the smaller ones. While Mr Davies says each of these are important points, they cannot be undertaken in isolation. But he noted that responsibility for successfully implementing that plan was a collective one. “A reform plan is only as good as the action that comes from it… And that responsibility for leading reform falls to us all…to governments, business, peak bodies and the wider community,”Mr Davies concluded.